Staying busy with friends in Bandung of course really exciting! No need to spend expensive budget to stay in villa or hotel. Just stay at eight guest house cheap recommendations from pegipegi following. In addition to offering comfort for you and your friends, the price is also cheap, which is only Rp 100 thousands. This guest house is located on Dago Pojok street No. 1. 89 AF, Dago and provides friendly service, as well as modern facilities. Room facilities provided by Dago Guest House Kampung Padi are complete toiletries, private balcony, cable TV, air conditioning, kitchen and more. Meanwhile, the supporting facilities offered are room service, massage, free shuttle, and others. If you stay at Dago Guest House Kampung Padi, you can explore many tourist attractions, such as Bandung Zoo and factory outlet in Dago. Meanwhile, Husein Sastranegara Airport is just a 15-minute drive from Dago Guest House Kampung Padi. With a price of only Rp 125,500 * per night, you can stay at Dago Guest House Kampung Padi. Mulyasari Guest House Syariah is a comfortable affordable accommodation in Bandung. Located 20 minutes from Trans Studio Bandung and Bandung Train Station. It is also a 10-minute drive from Paris Van Java shopping center. To pamper guests, Mulyasari Guest House provides shuttle service, internet access, parking, shared kitchen, BBQ, karaoke, business center and parking area. Each room there is facilitated in-room bathroom with complete toiletries, TV, fridge, slippers and more. You can stay at the guest house located on Jalan Mulyasari II No. 3, Bandung with prices starting from Rp 152.893 * per night. SM Residence & Guest House Pasteur is on Jalan Babakan Jeruk Indah I No. 11 and adjacent to several entertainment venues and shopping centers, such as the Barli Museum which is just 1 km away, as well as Setra Karang Water Park. Some malls can also be reached from this location, such as BTC Fashion Mall and Paris Van Java Mall. Located about 2 km from Husein Sastranegara Airport, the inn is just a 10-minute drive away. Facilities provided for guests include room service, airport shuttle and park. Meanwhile, the room facilities offered are air conditioning, TV, bathroom with shower, soap, shampoo, and towels. The price offered by SM Residence & Guest House Pasteur is from Rp 159.188 * per night. Junjunan In Sharia Guesthouse is a sharia-based lodging in Bandung that has a strategic location and has easy access to various tourist attractions. The guest house offers many amenities, such as comfortable bedrooms, air conditioning, TV, room service, parking area, bicycle rental, and more. You can stay at the inn on the street Dr. Visitor In V No. 8 is priced starting from Rp 160,331 * per night. Lodging located on Jalan Surya Sumatri No. 4, Pasteur provides friendly service, comfort, and affordable prices. Facilities provided include complete toiletries, comfortable beds, dining room, parking area, balcony, and others. Husein Sastranegara Airport can be reached with a distance of less than 3 km. De Sun Pasteur Guest Home is also close to Paris Van Java, Cihampelas Walk, and others. With prices ranging from Rp 162,727 * per night. 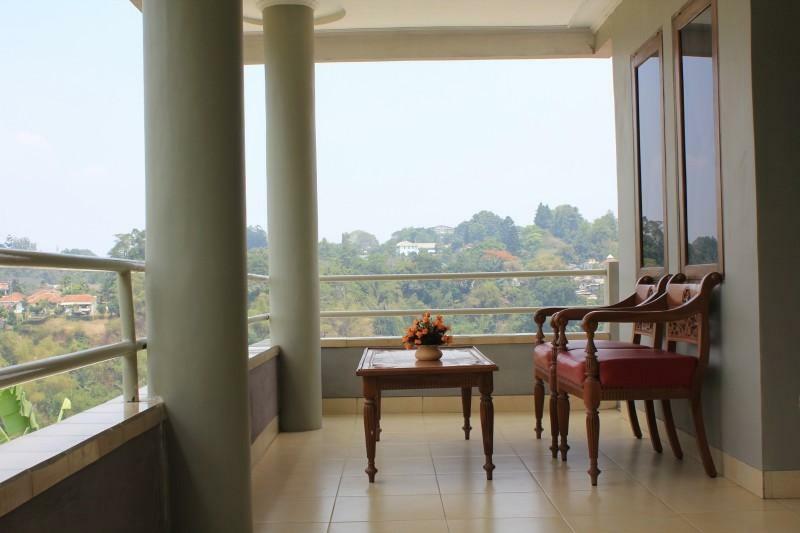 Setra Priangan Guest House is ideal for exploring Bandung. You can enjoy easy access to everything on offer, such as Museum Barli, Bandung Trade Center, Paris Van Java, Setrasari Plaza, Cihampelas Walk, and others. Guests of Setra Priangan Guest House can enjoy free Wi-Fi in all rooms, air-conditioning, flat-screen TV, writing desk and more. The 24-hour reception at Setra Priangan Guest House can also help you with laundry, dry cleaning and car rental services. You can stay at the inn located on Setra Indah Street North II No. 17 is priced starting from Rp 164,256 * per night, if you order at pegipegi.com. Orange Homes Syariah is located on Jalan Babakan Jeruk 1 No. 76, Pasteur, Bandung is strategic and close to various factory outlets and Pasar Baru. Husein Sastranegara Airport is a 5-minute drive from the hotel. Orange Homes Syariah has room facilities in the form of basic toiletries, TV, AC, and others. You can stay at Orange Homes Syariah with prices starting from Rp 165,289 * per night.